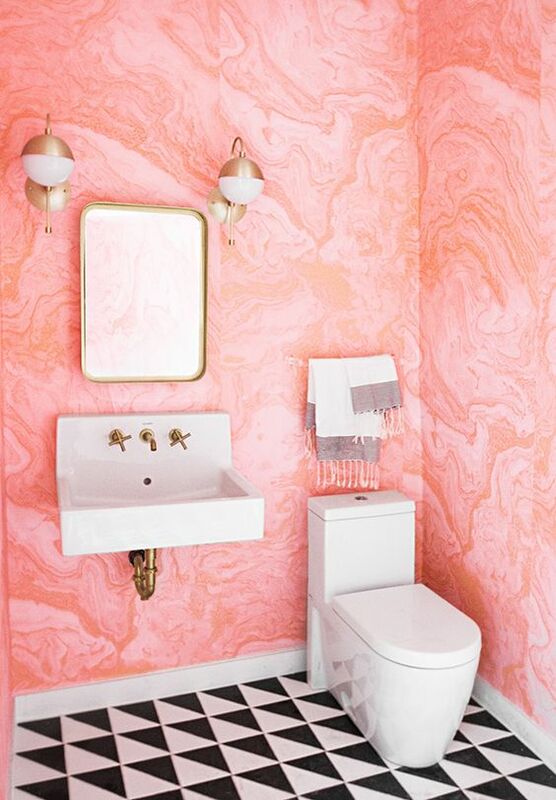 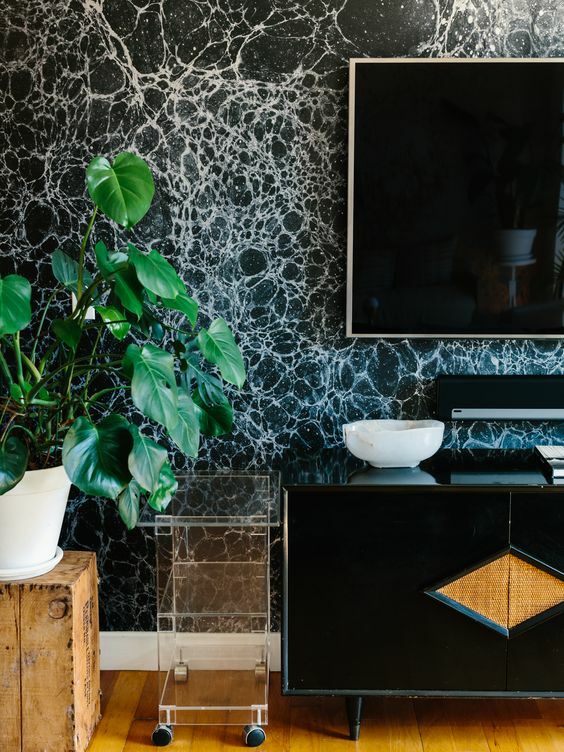 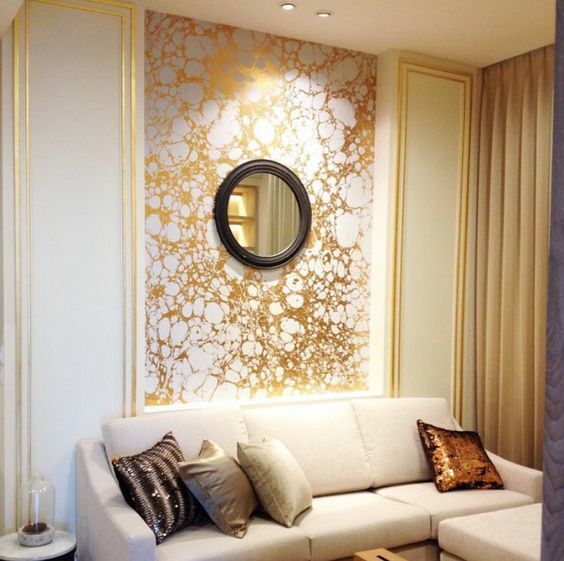 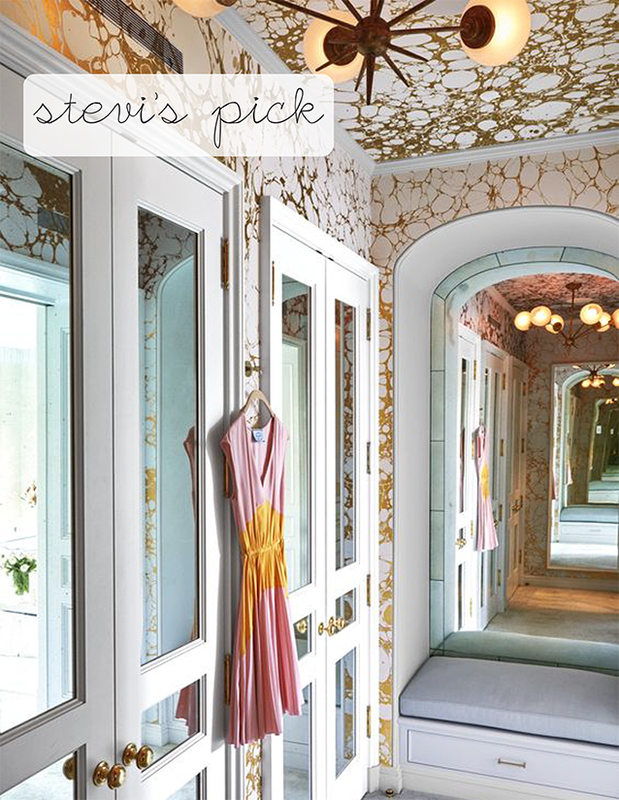 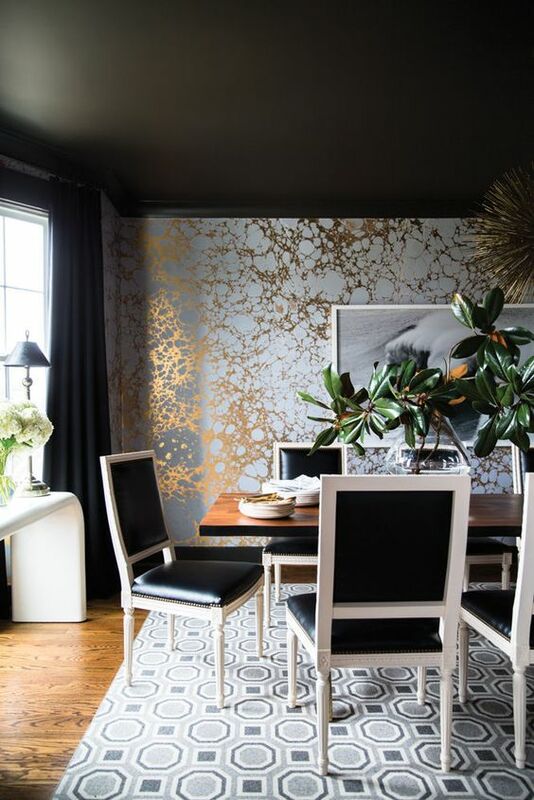 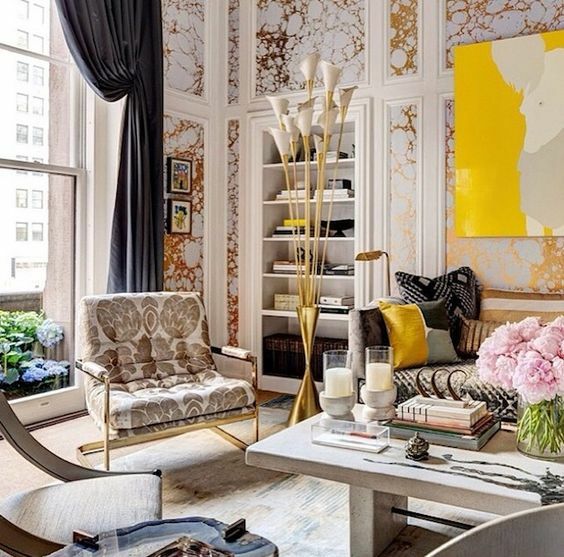 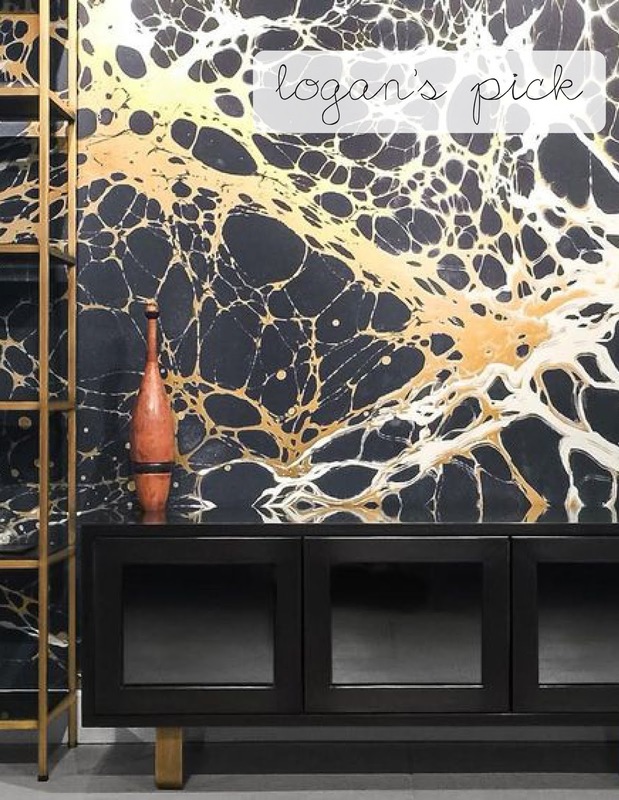 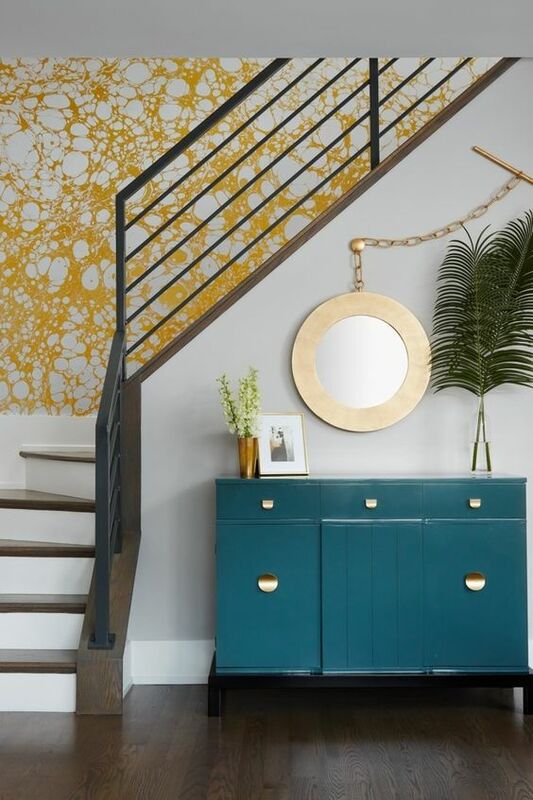 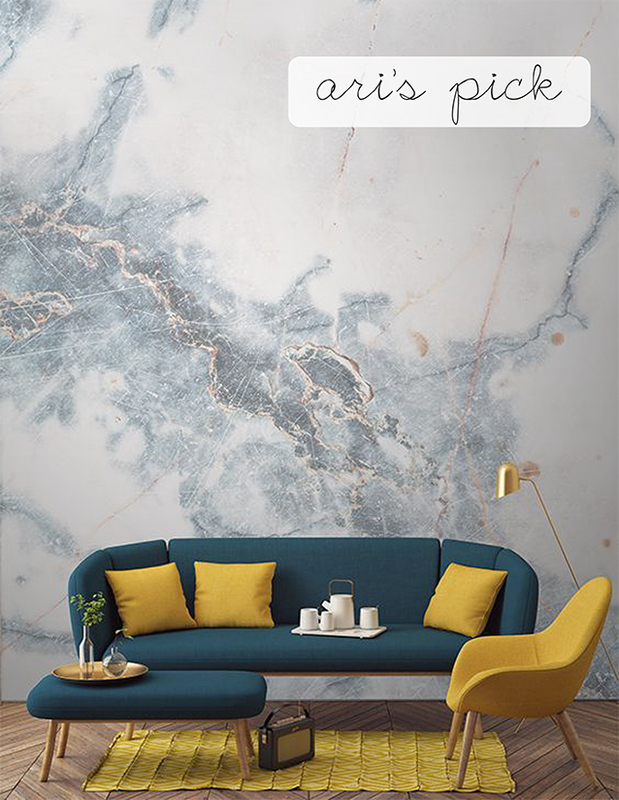 We love the wallpaper shown above that mimics this same ancient marbling technique. 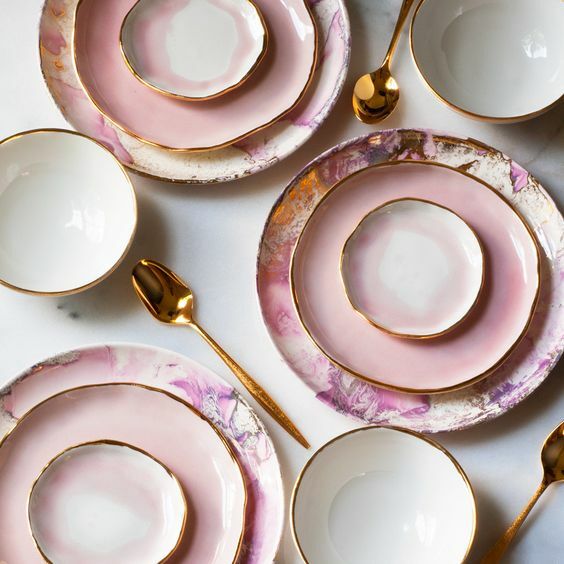 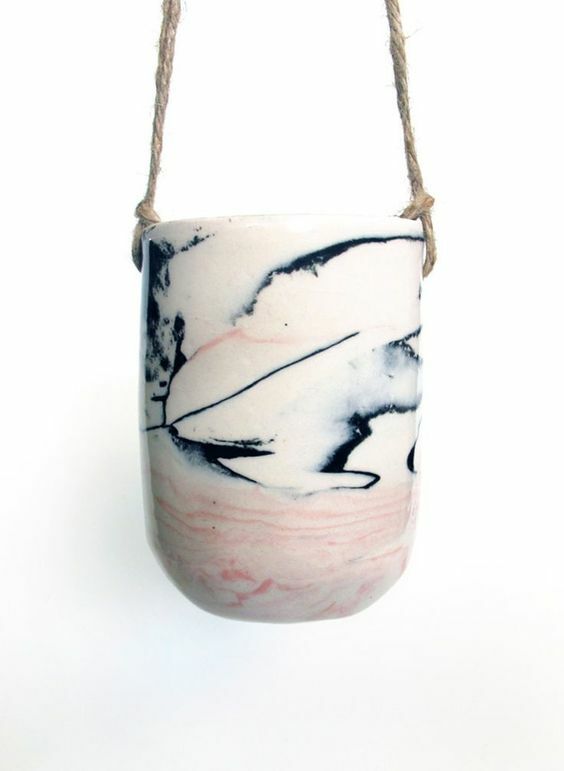 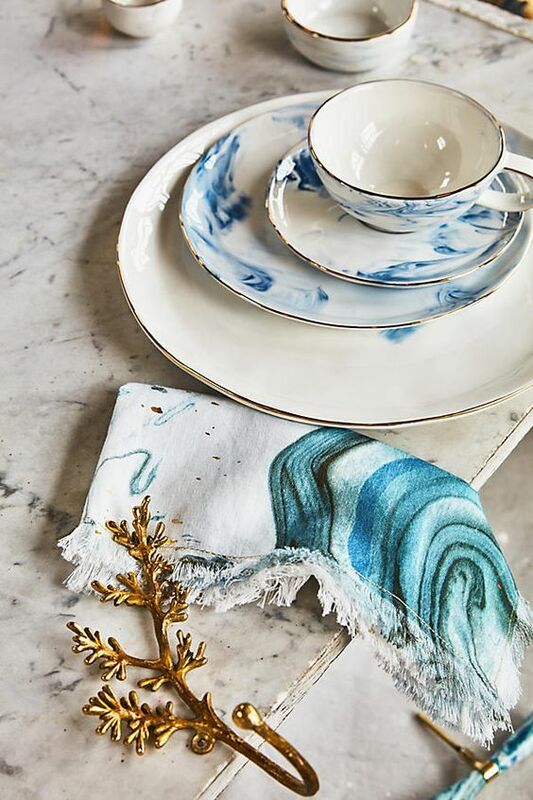 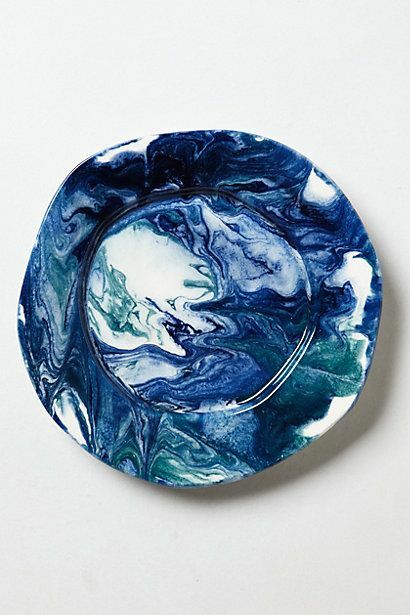 We are seeing this texturing being applied to all sorts of home decor items such as bowls, plates, planters, rugs, wall surfaces, etc and have even seen this trend show up in fashion! 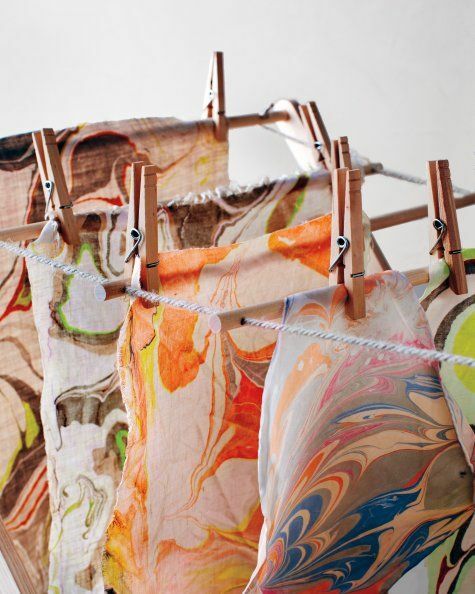 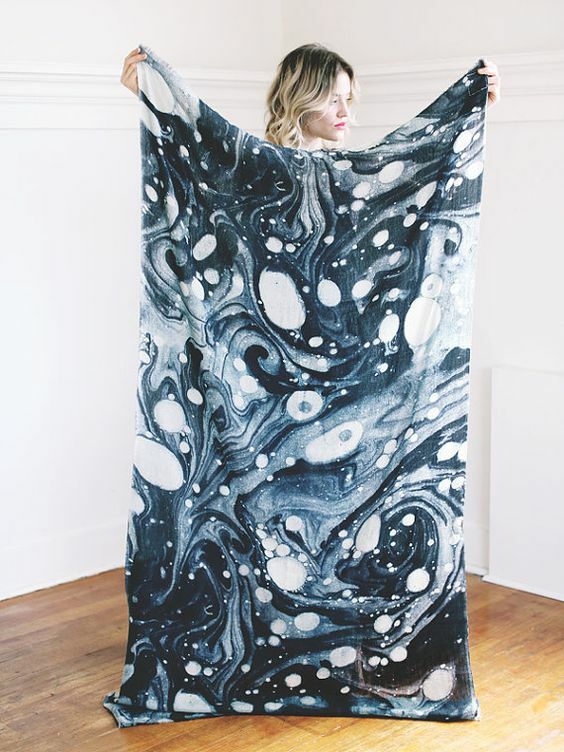 Here is a youtube video that shows the intricate process of marbling.